Katie Jane from the Hoover Public Library is always a special treat that Ms. Hollis & Ms. Vann's students look forward to each month. Katie Jane brought props with her this time and the kids roared with laughter as Katie Jane told a story about a big brother dinosaur whose little sister follows him everywhere and loves to give him kisses.....YUCK! 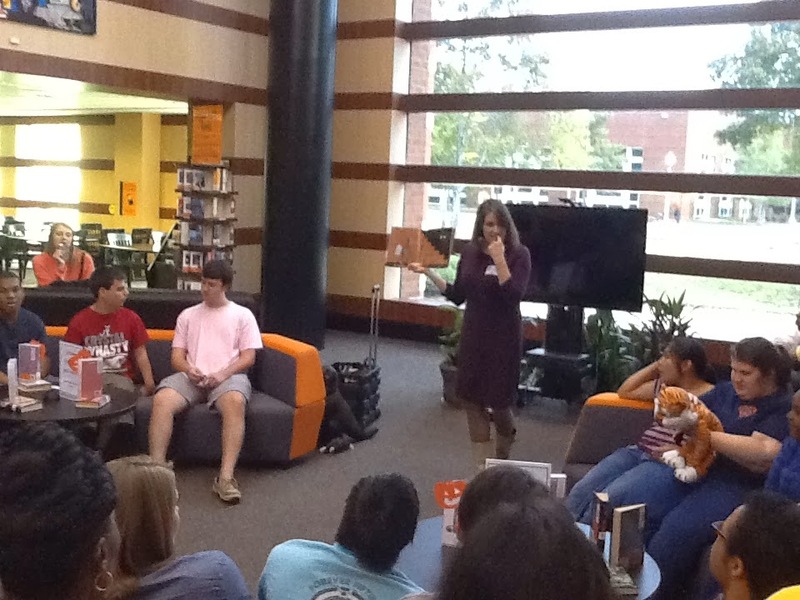 Katie Jane keeps the kids and library staff completely engrossed with her amazing storytelling skills. 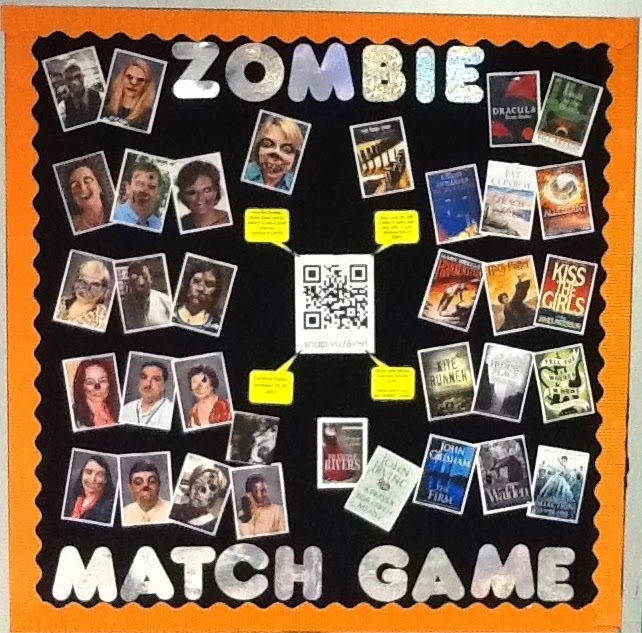 The Library@HHS put together an awesome interactive display for October (after Teen Read Week) where we made administrators, teachers and aides into zombies that needed to be matched to their favorite book. The link to the Google Form used for the contest can be found HERE. 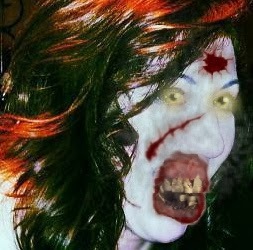 The teachers and students all loved the contest with many sharing the zombie makeover pictures via Facebook and Twitter. In The Library@HHS we are always available to teach classes whether it is library related skills or co teaching to assist teachers in transitioning to the use of a new technology. This week we taught classes how to use our ebook system, OverDrive, how to use the Alabama Virtual Library, and how to use our Destiny system to search for physical books in the library. Below is a video I recorded during one of the AVL/Destiny classes. I emailed the video to the teacher so she could put it on her learning management system, Edmodo, for those students who were absent or who needed to review thee video for a "flipped classroom' experience. Weeding is one of the most misunderstood tasks that school librarians conduct. Teachers, students, parents, etc get in a tissy when they see us "throwing away" books, videos, etc. This week The Library@HHS focused our weeding on videos that had not circulated in 5 years or more. We pulled the video, removed all identifiers from the physical video & box and removed the records from our automated library management system, Destiny. Our next step is to send out an email to teachers notifying them that the library ahs free videos for the taking. Question: Just wondering where do you guys send weeded library books? 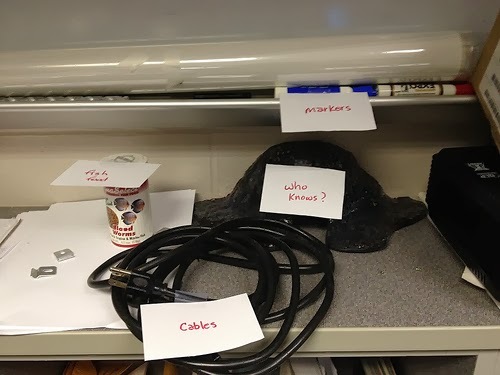 Answer: I offer them to classrooms and if they are not taken I trash them under the cloak of darkness so as not to upset the discard Gods!!!!! I was invited to present a session about building your PLN with Twitter to the Jefferson County School District Librarians. They are a fun and energetic group of librarians and I had an great afternoon with them. See my presentation HERE. I was also asked to write a blog post for OverDrive regarding our Personal Shopping service for students and teachers. The post that I sent can be found HERE. On your zombie match game, what do the little yellow speech bubbles say? This is awesome...we do our administrators every year, but I love this idea for book matching!